Today (14 November) the three day event was kicked off in Singapore, bringing together 150 senior executives in the mail, express and e-commerce sectors. The meeting is hosted by Singapore Post for the second time in four years. Hottest topic standing on the agenda are latest trends in the rapidly developing and changing world of global e-commerce. Further to this, senior speakers and delegates are exploring contemporary issues in the postal and logistics space such as the dynamic of online purchasing, its increasing globalization, complex consumer delivery solutions and the rise of new types of industry competition. Woo Keng Leong, CEO Postal Services of Singapore Post, said in his welcoming address: “In the face of digital disruption, the conference is an important platform for postal and logistics organizations to connect and discuss the sector’s latest trends and innovations.” The line-up of senior speakers and sponsors includes high-ranking managers of Neopost, DHL, FedEx, Honeywell, Lockheed Martin, Aprisa Express, One World Express, what3words and the Lazada Group. Additional information can be found on the conference website – www.wmxasia.com. 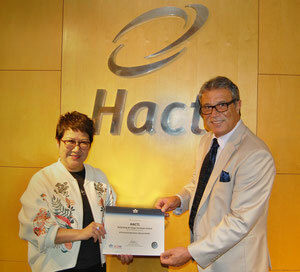 HACTL Finance Director Amy Lam receives the IGOM certificate from IATA Head of Ground Operations Joseph Suidan - courtesy: HACTL. Ground handling agent Hong Kong Air Cargo Terminals Limited (HACTL) has been certified under IGOM (IATA Ground Operations Manual), signifying its full compliance with the new standardized procedures. It is the first handler in Hong Kong to achieve IGOM certification. Through IGOM, IATA is driving the adoption of a single industry ground operations manual, to replace the vast array of separate manuals and standards currently in use by airlines, ground handlers and airports around the world. Applying IGOM scales down the complexity associated with multiple airline ground operations manuals, it standardizes training requirements and reduces the incidence of aircraft damage by applying common and robust procedures. The newly-launched IGOM Registry lists companies which are certified as having demonstrated full compliance with the IGOM procedures. 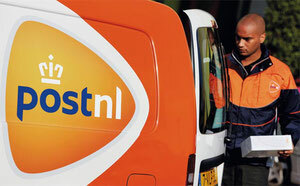 The Dutch national post operator PostNL has rejected a financially improved takeover bid by its Belgian competitor Bpost, after having turned down a first offer before. The new bid is less than convincing, stated Post NL last Friday, mentioning the €2.5 bn Bpost had offered for inking the deal. Netherland’s post operator fears that the Belgian government can exert a controlling influence on the merged company since it is Bpost’s main shareholder, owning 51 percent. Similar reactions came from the Dutch government in The Hague that also voiced strong concern, signalizing their refusal. PostNL came close to turning over €3.5 billion last year while competitor Bpost reported revenues amounting to €2.4 bn in 2015. The EU Parliament’s Transport Committee has voted in favour of more than 1,100 amendments strengthening the new “Basic Regulation” of the European Aviation Safety Agency (EASA). This will result in stronger rules for drone safety, tightened procedures for cooperative safety oversight by national aviation authorities, and a new article to mandate EASA to address the interdependencies between safety & socio-economic factors. This sets a solid basis for the upcoming negotiations on aviation safety and security with the Council of Transport Ministers and EU Commission, in early 2017, summarizes the Transport Committee. In a first reaction, President Dirk Polloczek of the European Cockpit Association stated: “With this vote, EU Parliamentarians demonstrate that they are serious about making EASA fit for the next decade.” He went on to say: “This is crucial, as our skies will become busier in future as ‘new entrants’ – like drones – are joining the airspace. We are therefore particularly satisfied with the tightened safety rules for drone operations, including the requirement of a drone pilot license for commercial operations. This is good news, as the EU Commission proposal had been an empty shell, which urgently needed filling with life. We see that the Transport Committee listened to the joint stakeholder call for drones to develop their full potential being safely integrated into the airspace, i.e. without endangering commercial aviation. Meanwhile, VD's line-haul arm AirBridgeCargo (ABC) is on its way to achieve record sales in 2016, its thirteenth consequtive year in a row. From 1 January to 31 October 2016, the carrier transported almost 500,000 tons, a rise of 29 percent y-o-y. Commented Robert van de Weg, Senior VP Sales & Marketing at Volga-Dnepr Group: "Our continued strong growth is based on staying close to our customers and ensuring we support them with cargo capacity when and where they most need it." He added to this: In a challenging market environment "it is important to earn customer trust in the quality and reliability of your service and demonstrate the ability to provide responsive solutions - now increasingly for cargo categories like pharmaceuticals and off-size cargo." 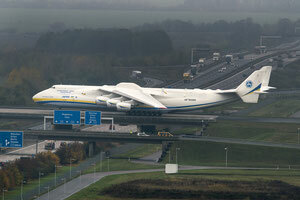 The world’s largest freighter, Antonov Airlines’ An-225 landed in Leipzig/Halle Airport to load machinery parts destined to Chile. 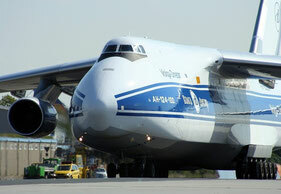 The airport stresses that it is already the 21st visit of the mammoth freighter to LEJ, making it the number one airport in Europe frequented by the An-225. In total, 160 tons were loaded on board the freighter, executed by local service provider PortGround GmbH, a subsidiary of Leipzig/Halle Airport. With a yearly throughput of 988.000 tons (2015) LEJ has become Germany’s number two airport in cargo tonnage, next to Frankfurt.